A router acts as a gateway and directs the flow of data between the devices on your network and the internet. Having a router makes it possible for you to have more than one device connected to the internet. A router's job is to make devices on your internal network (LAN or Local Area Network) think they are on an external network so that they can communicate on the internet. Data can flow both ways once a connection is established by your router. Pictured below are several common routers. When you connect to your ISP (Internet Service Provider) they will only give you one IP address. This is your external IP address. If you only want to have one device on your network, then that one address would be all you need. Each device connected on the internet needs its own IP address that is unique and global. So if you want to connect more than one device to the internet you need to use a router. A router takes that one IP address given by the ISP and uses it to connect to the internet or WAN (Wide Area Network) side of things. The router creates an internal network (LAN) that lets you access the internet from several devices with each device having a different internal IP address. Almost all internal networks have internal IP addresses that looks like 192.168.x.x or 10.0.x.x. Your internal network (LAN) may include devices such as computers, laptops, Xbox, Playstation, tablets, iPods, iPhones, and/or security cameras. Your router works like a mailroom directing the flow of data packets and keeps track of which device is connected through which IP address. NAT (Network Address Translation) is the protocol that all routers use to maintain useful connections between the internet and a device on your network. NAT works to fool the device on your internal network to think that it is on the internet and protects the network from outside access. NAT is the way a router keeps track of which connections have been established from inside the network to various internet locations and which devices on the internal network are accessing data. What is a SOHO or Home Router? Most routers are SOHO (Small Office/Home Office) or Home Routers. They connect networks in a home, home office, or small office to the internet. 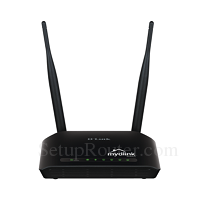 There are many router manufacturers and many different models of routers that have various features. Some routers offer WiFi so that your wireless devices can seamlessly connect to your internal network (LAN). For a list of the many routers available, visit our home page. Another type of router is called a Core Router. Core Routers route data to networks all over the world at very fast speeds. Core routers are central to the internet and make up the "backbone of the internet."